A charter school must employ or contract with necessary teachers, as defined by section 122A.15, subdivision 1, who hold valid licenses to perform the particular service for which they are employed in the school. The charter school’s state aid may be reduced under section 127A.42 if the school employees a teacher who is not appropriately licensed or approved by the board of teaching. The school may employ necessary employees who are not required to hold teaching licenses to perform duties other than teaching and may contract for other services. The school may discharge teachers and non-licensed employees. A person, without holding a valid administrator’s license, may perform administrative, supervisory, or instructional leadership duties. – Minn. Statues 124D.10, subd. 11. Human Resources management is a critical element to starting and operating a successful charter school. A charter school needs a strong director. It also needs talented, dedicated teachers, and a competent business staff. Human resources management is the process through which you attract, train, motivate, evaluate, compensate and retain these important people. Employment law is complicated and mistakes can be extremely costly. For example, the average jury award in a wrongful termination suit is $700,000. The average cost for litigating an EEOC (Equal Employment Opportunity Commission) claim is $162,000. Fifty-five percent of employment claims result in money awards to employees. Obviously, it is important for you to build and judiciously maintain a human resource management system that meets the requirements of the law. At the same time, your HR practices, at their heart, must be based on a commitment to fair and just treatment of staff. Good HR practices should help you create a work environment that supports your mission and encourages employees to develop and thrive. Following is a guide to effective human resources practice. It is only a guide, and is not meant to replace competent professional advice. Your HR practices should include consultation with professionals, including experienced administrators and an attorney specializing in employment law. Advice should be sought not only during your start-up phase, but also as part of an annual policy review and revision process. The Board is responsible for setting policy in areas related to human resources management, including policies governing salaries and salary schedules, terms and conditions of employment, fringe benefits, leave, and in-service training. In most schools, the Board hires the Director and delegates to that person the tasks of recruiting, hiring, evaluating, promoting, and disciplining staff (in accordance with established board policy). To develop an effective position description, start by thinking about the critical responsibilities of the job. What does this person need to do? How often does he/she need to do these things (daily, weekly, monthly, as necessary)? Do the tasks involve working with students, other staff, parents, or community members? How will you know that the job is being done well? Next, think about the education, skills, and experiences necessary for successful performance of these critical responsibilities. This may, for example, include a relevant bachelor’s degree, subject area licensure, knowledge of the UFARS accounting system, or fluency in a foreign language. Finally, think about the education, skills, and experiences that would be helpful but are not necessary critical to successful job performance. This might include additional years of teaching experience, a master’s degree, or experience working in a charter school. There are a number of different formats that can be used to organize and present this information. Examples of several position descriptions can be found in the appendix. Position descriptions should be viewed as “living documents.” In other words, to be effective, they need to be continually updated. At a minimum, review and revision should be done annually, as a standard part of the employee evaluation process. In this way, all position descriptions remain current, and employees are reminded that their job responsibilities can be changed. Individual position descriptions within an organization should fit together like a mosaic, creating a complete picture of staffing needs. Every critical task associated with operating your school should appear on at least one person’s position description. Hiring decisions are perhaps the most important decisions made by a school. Personnel costs are likely to claim the largest share or your budget. Accomplishing your mission is dependent on having the right staff. For these reasons, it is essential to include someone that has experience in making personnel decisions in the hiring process. You will most likely want to have a hiring committee of three or more people, to insure input from multiple stakeholders. Your committee might include, for example, the Director, teacher(s), parent(s), and student(s). Timing is important. If at all possible, the hiring process should be designed to ensure that staff is identified no later than June. Earlier is preferable. Where budgets allow, new schools should consider hiring staff several weeks before the school actually opens, allowing them adequate time to prepare. To accomplish this, the hiring process should begin in January. An accurate, well-written job description forms the basis for the subsequent steps in the process. The position description helps you clarify the job skills, knowledge and experience that you hope to find in a new employee. The most obvious and overused is the major, local newspaper. You may want to place an ad in the classified section of one or more major newspaper. Newspaper advertisements tend to be very expensive, so you will want to write the shortest possible advertisement that still contains enough information and is sufficiently appealing to attract promising applicants. Sunday is the best day to advertise in most major newspapers. It seldom makes sense to run an advertisement for an entire week. Ethnic, neighborhood, and specialty newspapers – In larger communities, there may be a number of small newspapers. Some specifically target ethnic groups and can be good places to advertise in hopes of attracting a diverse pool of applicants. Finding these smaller newspapers can be as simple as visiting your local library, a coffee shop, or bank lobby where there are racks of free periodicals. Be aware, however, that the advertisement will not be free. Colleges – Alumni as well as new graduates use college websites when searching for jobs. In most cases, the best place to start when you want to post a position is with the college’s career office. Usually, you can find contact information for this office and posting instructions on the college website. You may also want to contact the college’s Education Department and specific, relevant disciplinary departments (e.g. math or biology). In some cases, education and disciplinary departments have separate websites that include job postings. Some colleges also have specialized training programs in special education and Limited English Proficiency. If your school has specific need in areas such as these, it is worthwhile to send postings to specialized programs in and outside of Minnesota. 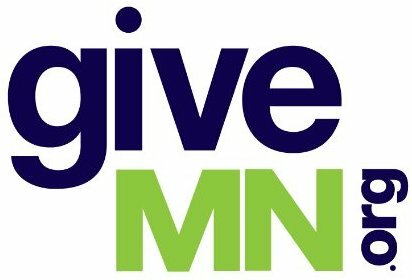 Job fairs – the Minnesota Association of Charter Schools holds an annual job fair and may be able to direct you to other job fairs in your area. Word of mouth and personal contacts – Email the posting to your professional contacts and ask them to share it with their contacts. From your applicant file – Schools often receive unsolicited resumes. These should be saved for possible future openings. Call the qualified individuals or write them a brief email or letter, attaching a copy of the posting, and invite them to apply. Email postings are often simply shortened versions of the position description, with additional information about application deadlines, desired application materials (resume, letter of intent, references, writing samples, etc), and the application process (email, fax, and/or regular mail). Newspaper advertisements should be much shorter, including only enough information to attract promising candidates. Both should include an EEO statement “(_____ charter school is an equal opportunity educator and employer. )” A sample posting and advertisement is included in the appendix. It makes good business sense to acknowledge receipt of applications, either in a brief email or letter to each candidate. This practice communicates a level of professionalism that can help build a reputation for the school that may be helpful in attracting quality applicants in the future. Your hiring committee should design a screening tool to be used to decide which candidates will be invited for an interview. At a minimum, the screening criteria should include the essential knowledge, skills and experience listed on the job description. Desired knowledge, skills and experience may also be used. Criteria can be prioritized and weighted. A sample-screening tool is included in the appendix. A list of other possible interview questions is included in the appendix. If at all possible, you will want to see a teacher candidate in action before making a final hiring decision. If an applicant is currently teaching in another school or student teaching, find out if someone from your committee can visit his/her classroom and observe. If your school is already open, you may want to invite the most promising candidates to guest-teach for a small portion of the day. Always check references. Reference checking can be done at any stage in the hiring process. You might, for example, want to check references before actually interviewing a candidate. This can be particularly wise if the candidate is from another state. You may want to check references between first and second interviews, or before inviting a candidate to guest-teach. Get permission from applicants to check references. Reference questions should be job related and consistently applied. As with interview questions, the best reference questions are open-ended and related to actual job performance. For example, you might ask: ” Can you give me an example of something particularly creative that Mary has done with her class?” Obviously, you will want to talk with references that have actual first-hand knowledge of the applicant’s job performance. Always verify necessary professional licensure before making an offer. Criminal background checks must also be completed before actual hiring. Applicants should be told that their employment is contingent upon the outcome of background checks and must sign a consent form. Background checks are done through the Bureau of Criminal Apprehension. A description of the process and sample consent form is available on their website at dps.state.mn.us/bca/Forms/Documents/Form-Intro.html. The entire hiring committee or a single person, most likely the Director, must take responsibility for the hiring decision, choosing the candidate who most closely meets the requirements of the job. If it is a committee decision, you may want to have committee members make written recommendations. Applications, interview notes, postings and advertisements and other supporting documentation should be retained for one year after the hiring decision is made. When you are ready to make a job offer, you will need to have a contract ready for signature. A contract does not need to take any special form in order to be binding. Often, it is designed as an “offer letter” that includes the position title, salary, days of work, benefits, leave policy, and other pertinent employment information. An example of a contract can be found in the appendix. Most charter schools are “at-will” employers. This means that employment is based on mutual consent between the school and the employee. Either party has the right to terminate the employment relationship at any time, with or without cause or advance notice. An employee can walk away from a contract any time, for any reason. The school can do the same. This can be important in cases where a school does not meet enrollment projections and must make the painful decision to cut staff positions. Also, it provides flexibility to remove a problem employee. A prospective employee may be concerned about signing a contract that would allow their employer to terminate them for “any reason.” You should be open to discussing these concerns. Often, it is helpful to talk about your commitment to open communication. Employees should be assured that there would never be “surprises.” Budget and performance concerns would be discussed with they as they occur, and that there would always be opportunity for feedback. Every new employee should be given a copy of their position description and a staff handbook that contains board policies related to their employment. Employees should sign a form indicating that they have received and read the policies. A sample form is included in the appendix. You will also need to have new employees complete forms necessary for payroll (W-4), Employment Eligibility Verification (Form I-9), retirement benefits (PERA and TRA), and other employee benefits specific to your school. Orientation is also a good time to talk about the employee performance appraisal system and to give new employees a copy of the annual evaluation tool that will be used. Charter Starters: Governance and Management, Leadership Training Workbook 4 (Northwest Regional Educational Laboratory, 1999). Available online atnwrel.org/charter/Workbook/cs_workbook4.pdf.